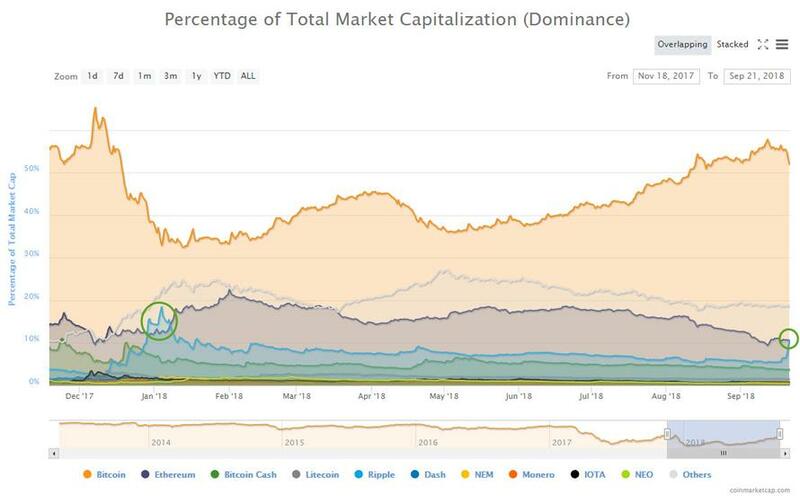 And, as CoinTelegraph's Moilly Jane Zuckerman notes, Ripple (XRP) has now overtaken Ethereum (ETH) to be ranked number two by total market capitalization on CoinMarketCap. 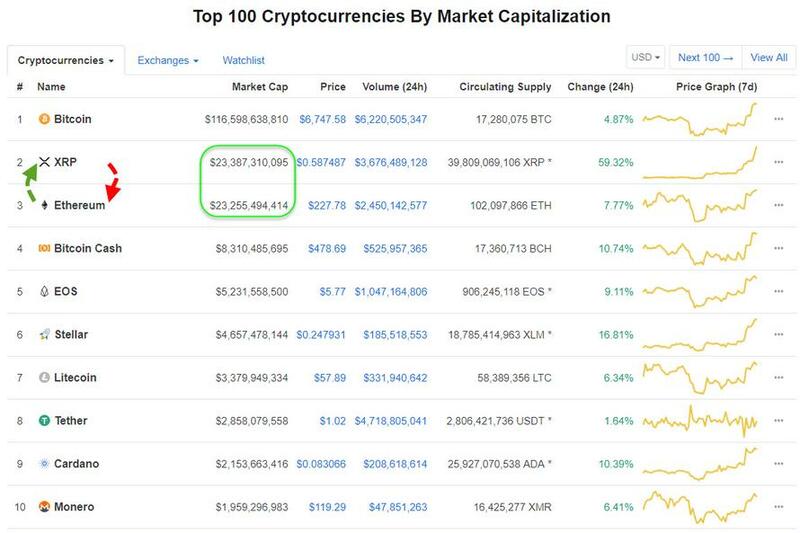 As of press time, Ripple has a listed market cap of around $23.39 billion, while Ethereum - now in third on CoinMarketCap - has around $23.2 billion in market cap. 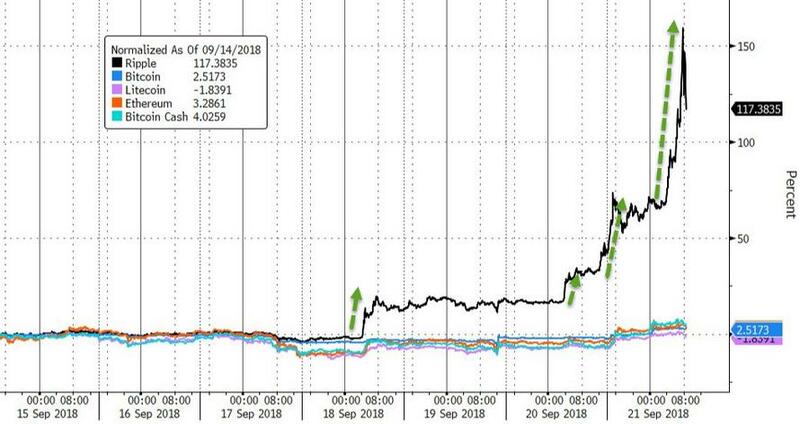 At the beginning of this week, Ripple executives hinted that it may launch a service that will use the digital currency “in the next month or so.". 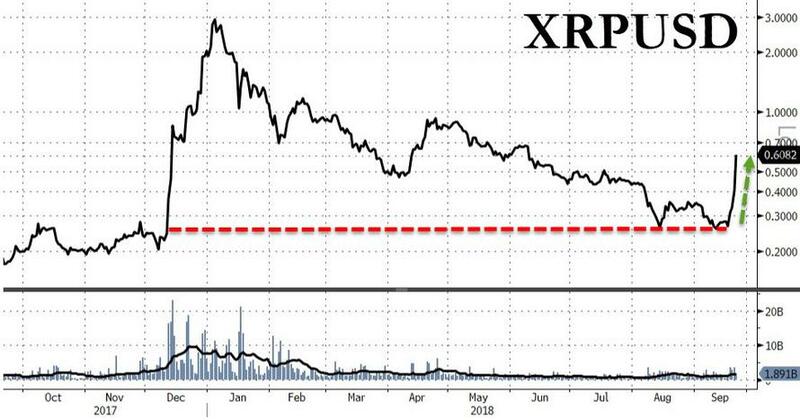 Called xRapid, the service lets financial companies such as payment providers speed up money transfers into emerging markets using XRP, which Ripple says is an independent digital asset. A Ripple spokeswoman said Thursday that there isn’t an official commercial release timeline at this point.